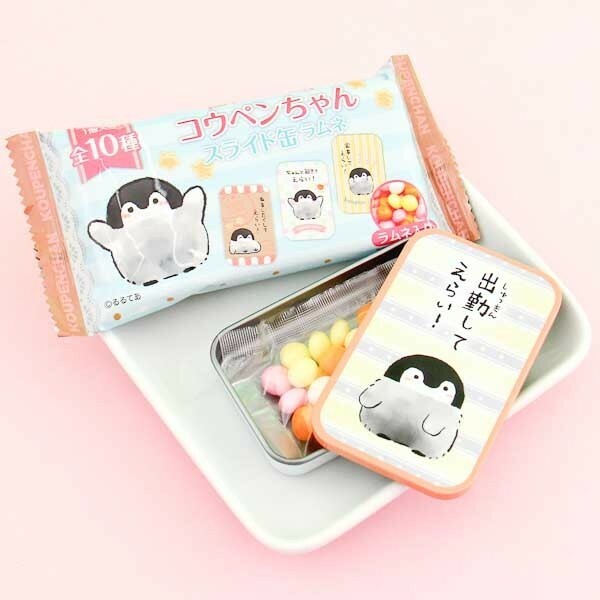 Koupen Chan baby penguin is so chubby and adorably clumsy that it's impossible not to fall in love with him! This baby-sized penguin has his own little tin box where he has hidden some small delicious candy drops inside! You can keep small treasures in the box that is decorated with Koupen Chan's pictures! Altogether 10 different box designs, and you will never know which one you will receive!